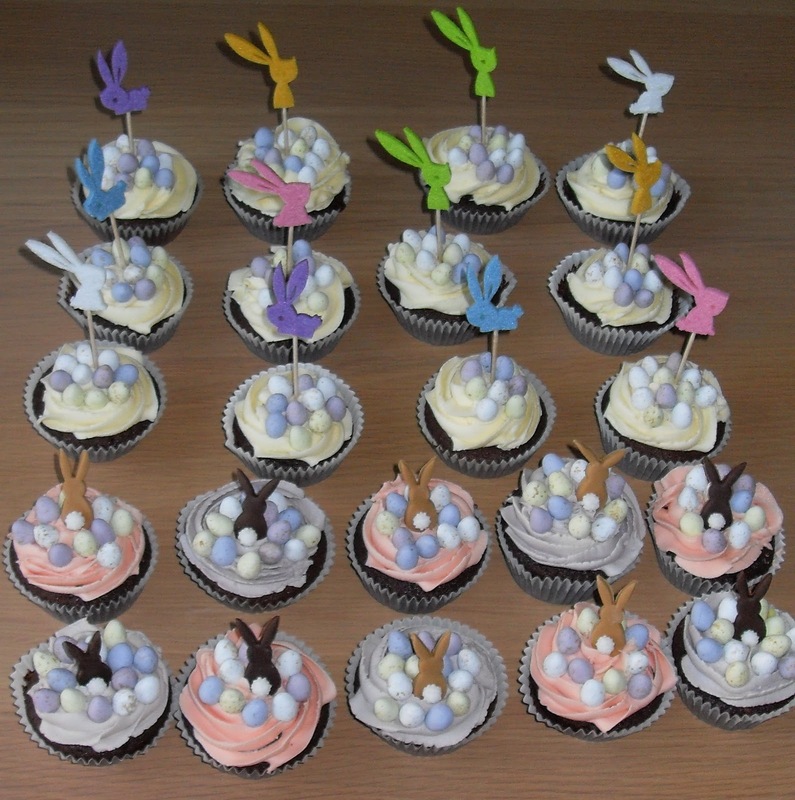 Chocolate cupcakes with cream, purple and pink buttercream topped with fondant Easter bunnies and colourful felt Easter rabbit toppers. 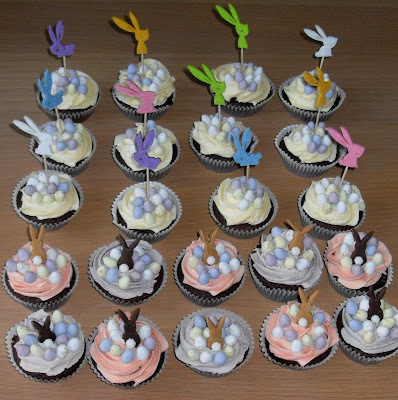 These are so adorable and they look so delicious. I love all them, but the bunnies are so cute with the tail. Adorable. Beautiful job on these.